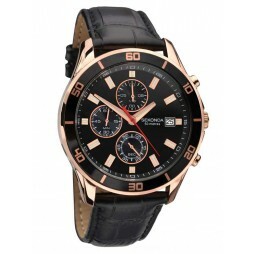 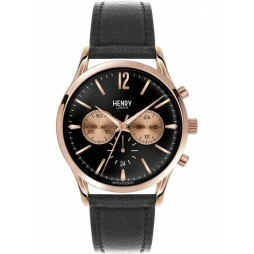 A wonderful classic design with a durable black leather strap and stainless steel case. 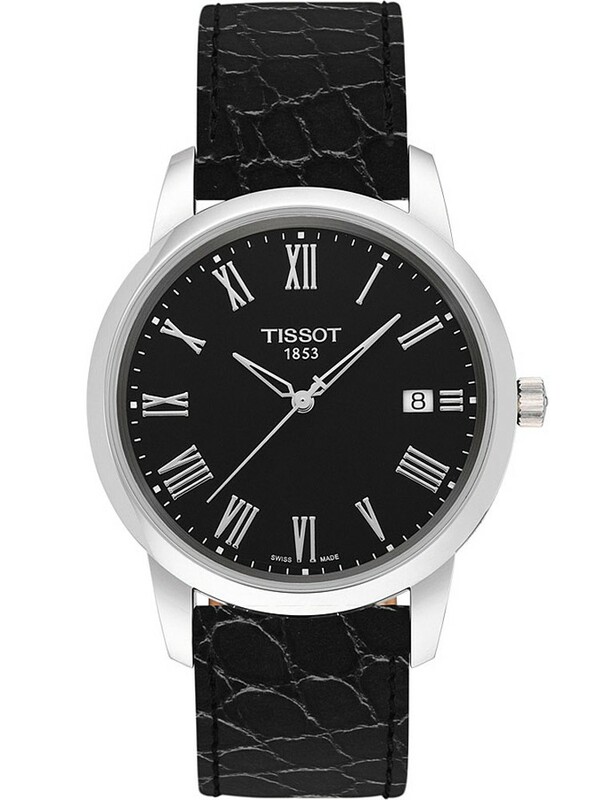 The round black dial features silver Roman numerals and fancy hands with a date function. 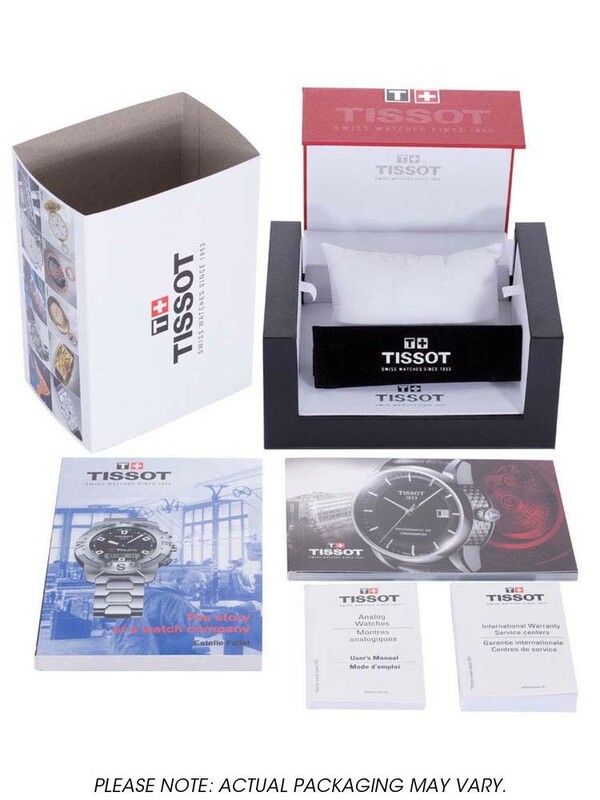 A fashionable Tissot mens watch ideal for business or pleasure.